While playing under the van the other week I found a series of water pipes (? ), that are seriously corroded. They run left to right a little bit behind where the driver and front passenger seats are. It also looks like they have been seeping a bit too. Does anyone know what these are called as I need to replace them. This is the first time I've posted pictures up, and there's a few duplicates there! Not sure, your 2.8 is slightly different from mine. You need to follow them! Maybe possible by looking in from the top with a torch? Find out what's the stuff on the ends - oil? Coolant? Careful of coolant, it's toxic. I've got no going from side to side after the engine on mine. Those look like rear heater core lines. 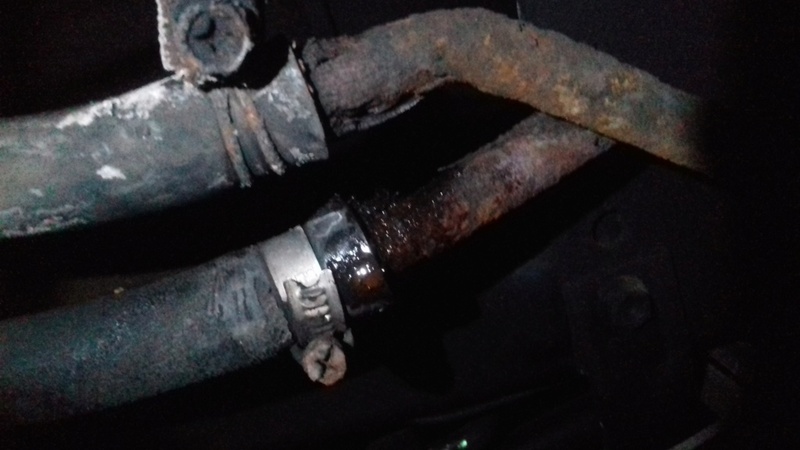 Mine are corroded too and were leaking at the junction heading up into the rear passenger area. I bypassed the circuit to stop the leaks until my upcoming service where the hard lines will get replaced with soft lines. If you look in the engine bay (under the drivers seat panel!!) you can see the coolant take-off points for that entire circuit. A possible option for the energetic would be to take the side panel off completely and remove ALL the relevant piping, radiator and airbox and replace it with a diesel warm air heater that could be integrated to the existing fan switch. This upgrade costs about £130 and a certain amount of effort but may provide a better solution. A small 8mm brass T piece into the fuel feed hose next to the tank would provide a suitable source of fuel. I have a Planar and like it, but only with the thermostat. It is nice for a campervan when standing still. However in this case you may just want to fix it if you travel more often with people in the back seat. It is just piping that can be replaced by universal stuff. 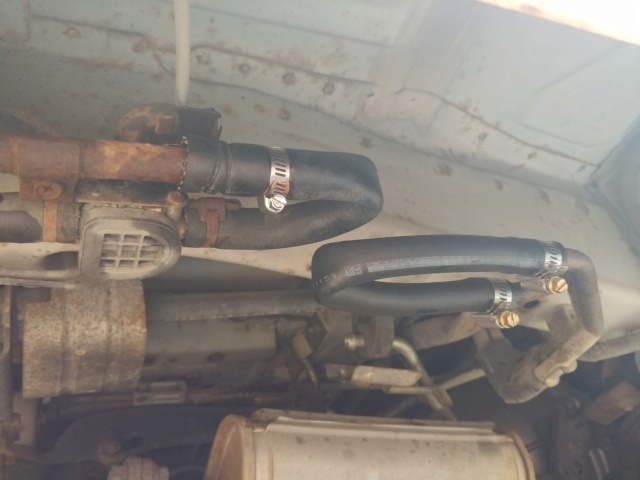 You could just buy long hoses ajd replace or bypass all the metal ones, right from the T section in the engine compartment. 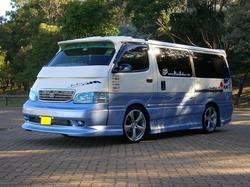 Our lwb hiace with sliding windows everywhere can be cold in the back while in the front seats it is fine. Thanks guys. Haven't checked the board for a while but great explanations, thank you. So just to confirm I'd be okay to replace the metal piping with strong rubber stuff. Can't say I use the rear heat often, but when the kids sit in the back during the cooler months it's dead useful. Wouldn't get that in a VW (I think)! Yes, just get quality heater hose of the right size and some clamps. Maybe use two clamps together as when you cut the metal pipe there will be no 'flare' left on it. Some VWs have rear heating, at the camper show last month once you got into to £55k - £67k bracket they even had blown air heating, much like the bigger luxury Ducato camper class at £45k. I can't get over the price of a VW campervan compared to a motorhome. Does seem like daylight robbery by VW. Yes, I am constantly amazed how much they are. But I think you are paying for the heritage too, a lot of things are carried forward through the models. For instance the T6's inherit from the T5 the paint finish issues, the leaking EGR coolant into the engine and gearbox and the leaking sliding side windows. Also the camper has the porta-loo, so much more adventurous than the bigger campers and their boring cassettes. The T6 also has of course the Euro-6 diesel, what you get from VW however is randomly leaking inlet air systems that over-fuel the engine filling up the DFP with soot, which then needs constant 'regeneration' which kills the fuel economy even more. All the bigger Fiat Ducato has to compete is boring reliability and much more space and load carrying for a lower price that uses about the same amount of fuel as a well sorted VW. I guess that's why we got Toyotas, I'm driving mine around as much as possible now before the winter sets in, it's quite a fun drive and I like the high seating position! I spent ages researching VW vans and following the herd. Must have read VW camper and Bus magazine for 3 years. It always seemed to articles about what to do WHEN you break down. Fell over the Hiace's and have never looked back. It's my daily driver and I love it. Except when there's lots of uphill's! Now I can see the jubilee clip is non-standard and yes it's seeping coolant. I have a spare set of those metal tubes now BTW if you want them, they are rust free but the odd end is slightly oval where I got the rubber pipes off. 1. When you disconnect the pipes push up a hosepipe and flush the heater matrix, quite a bit of sediment came out of mine and that's despite recently changing the coolant. 2. 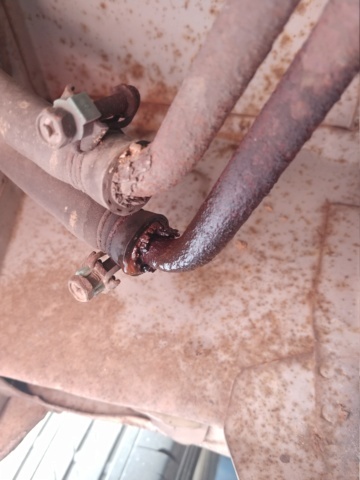 Don't use metal, use decent 15mm plastic straight connectors and rubber hose, there is no reason for any metal to be down there in that area at all. Thanks GPW. I'm tempted to buy your metal tubes, but then I could be in the same boat needing to replace them again in a few years (although as far as I know the first lot have done 24 years but a lot of that was in Japan without the salt on the road. where would be the best place to source some decent rubber hose do you think? 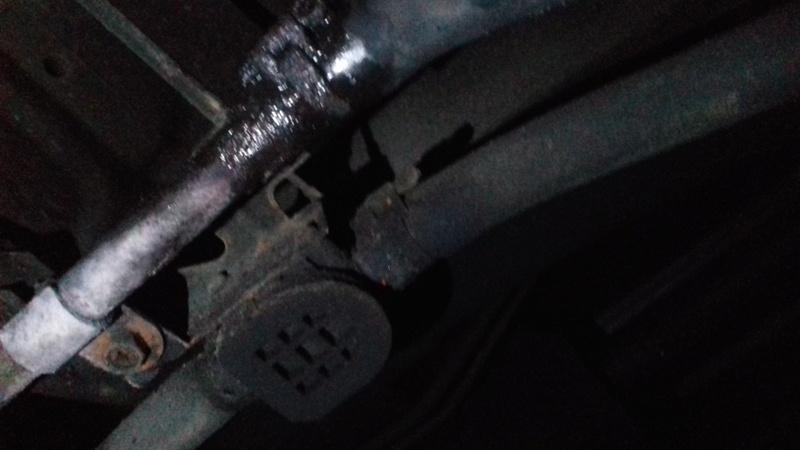 eBay has a huge selection of quality coolant hose and plastic in-line connectors so I'd use those instead of more metal, it makes no sense to me to use metal there, even the heater valve is plastic. The pipe is 14mm so if you get that or 15mm coolant tube and some connectors if would be fine. I think you'd only need a couple of metres of hose and 2 or 3 straight connectors and a set of appropriately sized stainless steel clips, and maybe one or two appropriately sized stainless P-clips to hold the pipe to the van. Subject: Re: What in the world are these?